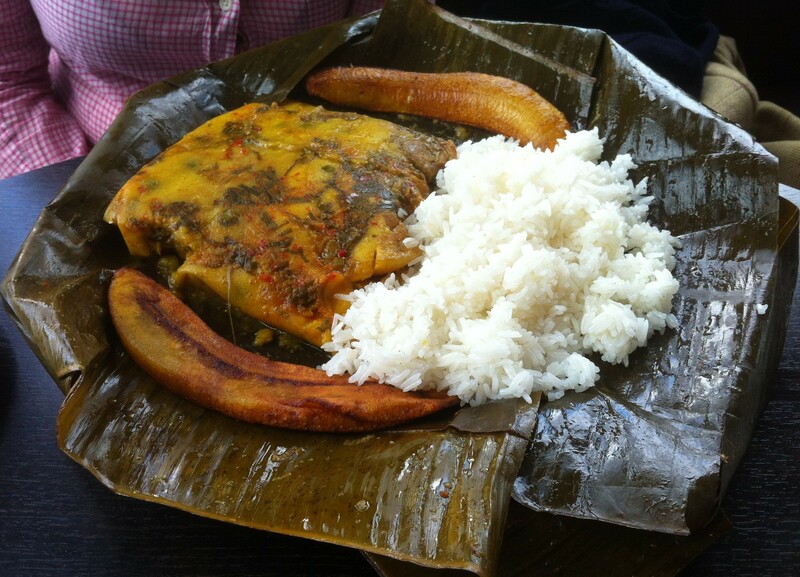 Donde Carlos | Restaurants of the World Unite! This brings up the big 2-0. 20 restaurants from around the globe now. I’ve been to Peru, Vietnam, Australia and Mozambique. But mainly I’ve been to me. 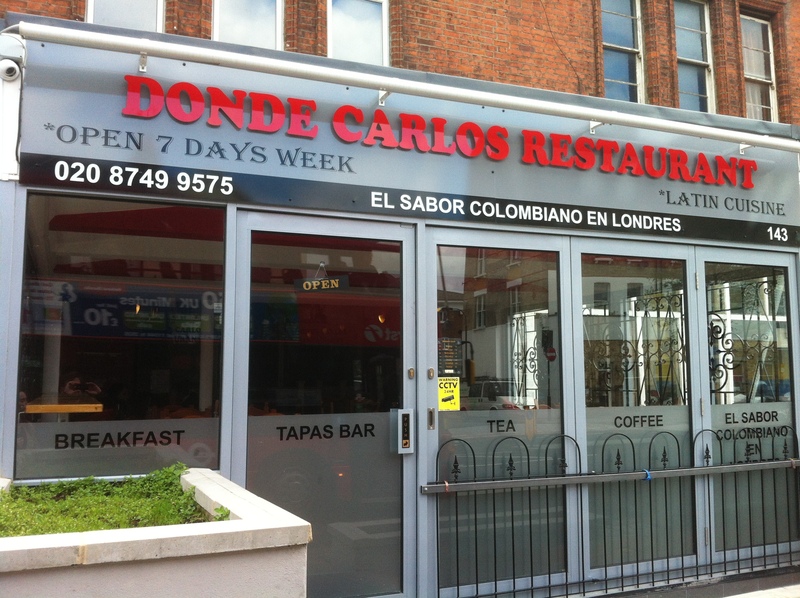 Donde Carlos has just opened on the Goldhawk Road and was pleasingly busy on a Saturday lunchtime mostly with people I would guess were from South America. Probably Colombia. It’s got a lively atmos and is family-friendly – it’s the sort of place I imagine will be rammed when the fútbol is on. The service is snappy and it has an uncomplicated menu. 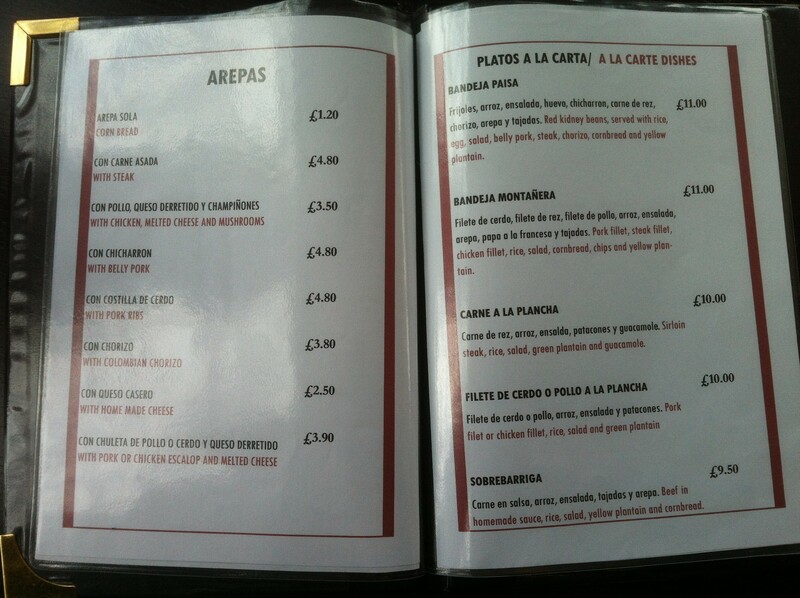 Me and the Ball & Chain ordered arepas which I haven’t had in donkeys. With homemade cheese. If someone I knew who wasn’t a farmer offered me homemade cheese I would back away and not call them again. 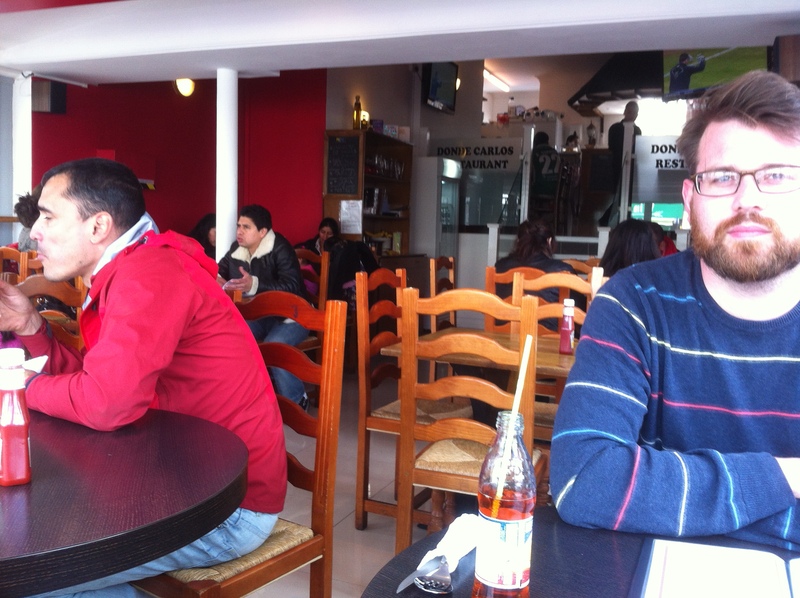 Apparently it’s totally cool in Colombian restaurants, and it’s salty and light. A bit like Caerphilly, but moister. The main courses could put down a herd of llamas. They’re huge. Probably smarter to share between two if your Calvinist side detests waste. I enjoy waste so ordered seconds and threw them on the floor and laughed at the famished vagrants staring through the window at me, smug in the knowledge that I’d be beating them up within the hour. 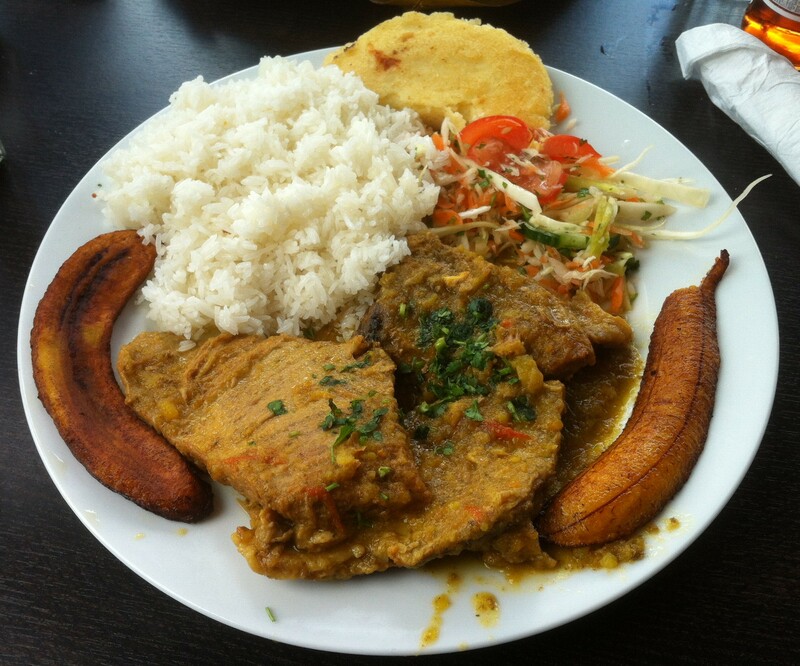 It was flavoursome and wholesome and there was plantain which I love. Though I hate bananas. And people who like bananas. £25 for two people and no waiting. There he is! He was inside all along! The best sort of menu – simple and crammed with MEAT. 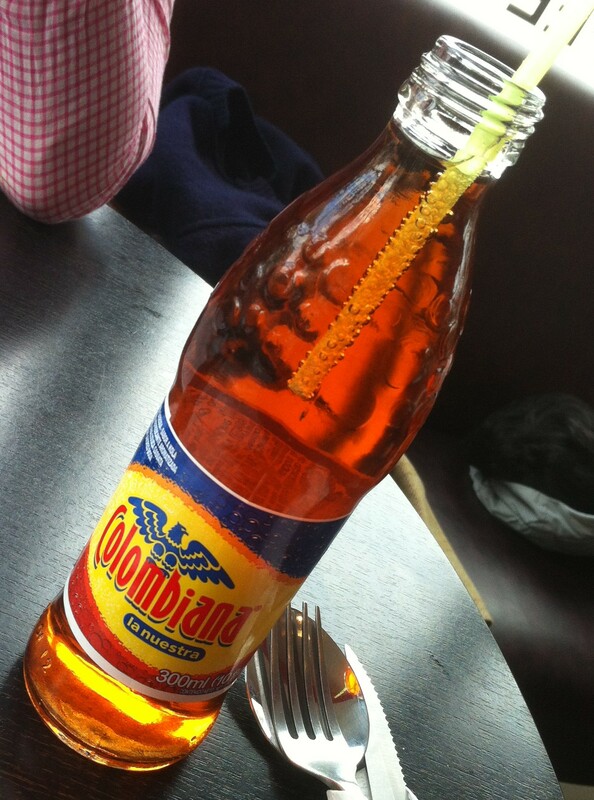 Colombian flavoured drink. Similar to ubiquitous Inca Cola. Which is like Irn Bru but sweeter. Take that Scotland. 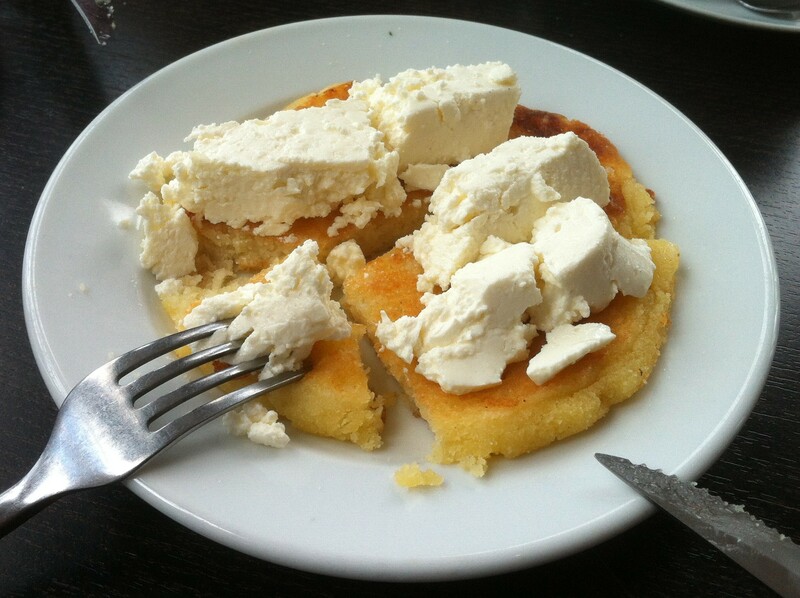 Arepa with home made cheese. Not normally something I’d countenance. Beef in homemade sauce now. After the homemade cheese. What have these guys got against Waitrose?